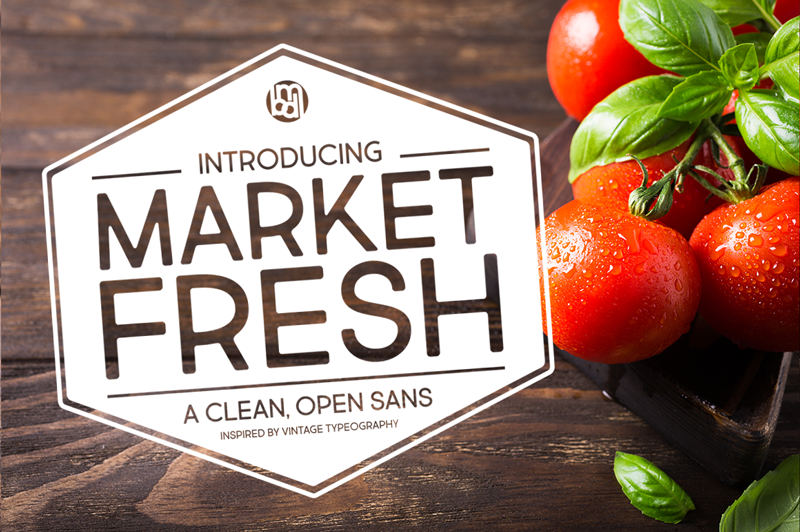 Market Fresh is an open, clean sans inspired by old-style retro headlines. UPDATED: New versions now contains lowercase! Includes 500+ characters: Extended Latin, Greek, Cyrillic & more.